Penny stocks are stocks that trade outside of major exchanges like the New York Stock Exchange (NYSE) and cost less than $5 a share. But the real question isn't "what are penny stocks?" The question most investors are asking is "how can I profit from penny stocks?" What Are Penny Stocks and Why Are They Risky? 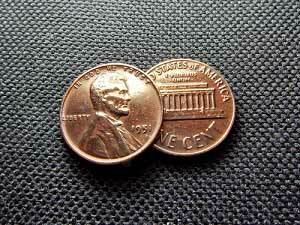 A typical penny stock comes from companies with small- to mid-size market capitalizations. Because they trade at such a cheap price, they're highly speculative and volatile. Many investors like them because they're the rare type of stock that can offer triple-digit returns in just a matter of weeks. For example, shares of obscure biotech MannKind Corp. (Nasdaq: MNKD) have skyrocketed 101% to $2.11 a share just this month alone. But penny stocks can also be very risky. Some of these firms engage in shady practices like refusing to disclose critical financial information. The first is to study a company's 10-K filing – an annual summary of the firm's financial performance. You'll specifically want to look at the CEO's compensation to see if he's paid with cash and if he owns any stock options. That's one of the biggest red flags for investors because it suggests the CEO is trying to make as much money as possible before the firm goes bankrupt. The second tip is to be on the lookout for paid promotions and pump-and-dump scams. These are when promoters and corporate insiders create slick and convincing promotions to encourage unknowing traders to buy a dangerous penny stock. This can be done with a phone call, email, or a brochure in the mail. Despite these malicious scams, Fitz-Gerald says you can still find good penny stocks to invest in. You just need to focus on cheap stocks that have financial legitimacy and solid growth potential. One of our favorite penny stock picks for 2016 is Novavax Inc. (Nasdaq: NVAX). Novavax is a biotech developing treatments for pandemic flu viruses and rabies. It can make vaccine candidates in just a matter of weeks using its Recombinant Nanoparticle Technology – a more efficient method of vaccine production that uses synthetic genes. The company is a favorite of Money Morning Small-Cap Investing Specialist Sid Riggs – a long-time expert in identifying billion-dollar catalysts in the penny stocks sector. He believes NVAX will gain more than 400% over the long term thanks to its unique technology. "The fact that NVAX can deliver vaccines in a fraction of the time, at a fraction of the cost, and set up operations in any part of the world, could revolutionize the entire vaccine industry and change the way vaccines are produced forever," Riggs said in September. Over the last year, Novavax has raked in $36.3 million in revenue. But that's expected to increase by as much as 60% to $58 million this year. Nine analysts surveyed by Thomson First Call have an average price target of $15.68. That would be a gain of more than 200% from today's price. As of March 25, shares of NVAX cost $5.18. While that's slightly higher than the SEC cut-off for penny stock classification, its triple-digit growth potential will make you happy you paid a little extra. Alex McGuire is an associate editor for Money Morning. Follow him on Twitter at @AlexMcGuire92.